If you have slightly crooked teeth, gaps between your teeth, or tooth crowding, but you want to avoid chunky metal braces, Invisalign from Dr. Shertok at Shertok Smiles may be the right choice for you! Unlike metal braces, Invisalign is nearly invisible, so you can wear it anywhere, without anyone noticing. With faster treatment times and a number of other benefits, Invisalign has become one of the most popular ways to correct minor orthodontic issues. 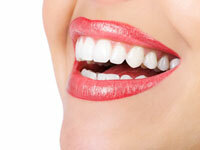 Invisalign is an alternative to traditional braces. Rather than brackets, metal wires, and rubber bands, Invisalign uses extremely thin, yet durable clear plastic aligners. These aligners, which are similar to a retainer, gently and gradually shift the position of your teeth, according to a personalized treatment plan developed by Dr. Shertok. This option is ideal for adults who wish to correct their teeth, but would like to avoid the stigma of having metal braces as an adult. If Invisalign is right for you, Dr. Shertok will take impressions of your mouth, and work with Invisalign to create your plastic aligners. When you come in for your next appointment, you’ll put in your first set of aligners and Dr. Shertok will ensure a proper fit. From that day forward, you’ll have to wear your aligners for 22 hours (preferably longer) each day. They should only be removed for brushing and flossing, eating and drinking, and to play contact sports (if you wear a mouthguard). Every 2 weeks, you’ll switch to your new aligner, as instructed by Dr. Shertok. And about every 6 weeks, you’ll come in for an exam so he can track your progress, and give you your next sets of aligners. It usually takes between 20-24 sets of aligners to complete treatment, so you’ll likely wear Invisalign for about a year, though this varies from patient to patient. Comfortable and convenient – There are no wires, brackets, or any other metal that will poke your mouth. In addition, Invisalign exerts a more gentle, even pressure on your teeth, so you avoid the discomfort of having your braces “tightened” and adjusted. Faster than braces – Braces can take 2 years or longer for the best results. Invisalign delivers comparable results in just one year. Completely unnoticeable – You can speak normally when wearing Invisalign, and due to how thin the aligners are, they will be completely unnoticeable in most situations. Nobody has to know about your treatment if you don’t want them to! Get Your Consultation Now – Come To Shertok Smiles! If you’re interested in Invisalign in Cincinnati, don’t wait. Your dream smile is just an appointment away, with Shertok Smiles. Dr. Shertok has years of experience with Invisalign, he’ll help you understand if this treatment is the right choice for your orthodontic needs. Schedule your appointment today at (513) 721-5924, or feel free to come to our office, at 19 Garfield Place, Suite 414, Cincinnati, OH 45202, to get started.